The Albany Lions Club has steadfastly refused to remove a giant cross on Albany hill. The large, electrified cross perched atop Albany Hill has long been a source of controversy in the city. On Sept. 13, the debate over the cross intensified when the Albany Lions Club, which owns the cross, sued critics of the monument, including the mayor, fire chief, and city council members. The suit alleges that city officials "unlawfully disconnected electrical utility service" to the two-story structure and violated the Lions Club's First Amendment rights of speech and religious expression. The city temporarily shut off the monument's electricity last year over concerns that power lines, which run through eucalyptus trees and vegetation near the cross, posed a safety hazard, but the Lions Club blames the shut off on "strong anti-Christian feelings." Several officials named in the suit have criticized the presence of the religious monument in a public park but have been blocked from forcing its removal, because the cross technically resides in a small patch of land granted to the Lions Club through an easement included in a complex 1971 land deal. Several other Lions Club chapters have negotiated deals to move crosses from public to private land in recent years, but the Albany chapter has refused to budge on this issue for decades and shows no signs of backing down now. This all might sound like a garden variety "separation of church and state" battle, except for evidence suggesting the tradition of "illuminating" crosses on Albany Hill started with Ku Klux Klan cross-burning rituals in the 1920s. Back in 1987, California State University professor Shirley Ann Wilson Moore, author of To Place our Deeds: The African American Community in Richmond, California 1910-1963, interviewed historian Lawrence Crouchett, one of the founders of the African American Museum and Library in Oakland, who recalled that Albany Hill was a site of KKK cross-burnings and rallies. During a surge in Klan activity throughout the 1920s, cross-burnings were recorded throughout the Bay Area, including at Cragmont Park in Berkeley and even inside Oakland's Kaiser Convention Center (then known as Oakland Auditorium). "These East Bay Hills were alive with the symbol of hate," reported Faith Fancher, as part of a historical investigation that aired on KTVU in 2000. "Cross burnings so bright that witnesses said you could see them from Pinole to Berkeley." Lions Club attorney and member Robert Nichols called attempts to link his club's cross, which was erected in 1971 and illuminated only for special occasions, such as Easter and Christmas, with previous Albany Hill cross rituals as "nonsense." "This particular cross has nothing to do with events that may have happened in the past," he said. "It was constructed as a service to the community." Rochelle Nason, one of the Albany city council members named in the lawsuit, doesn't accuse the Lions Club of intentionally resurrecting a racist tradition with its illuminated cross, but her research revealed potentially troubling origins of the practice. She said the Stege Presbyterian church, one of the first religious groups to hoist a cross on the hill, hosted "15 Klan members in full regalia" who attended a service "to make a gift to the church and deliver a letter lauding the pastor" a few years before the church launched its Easter cross-raising tradition in 1933. 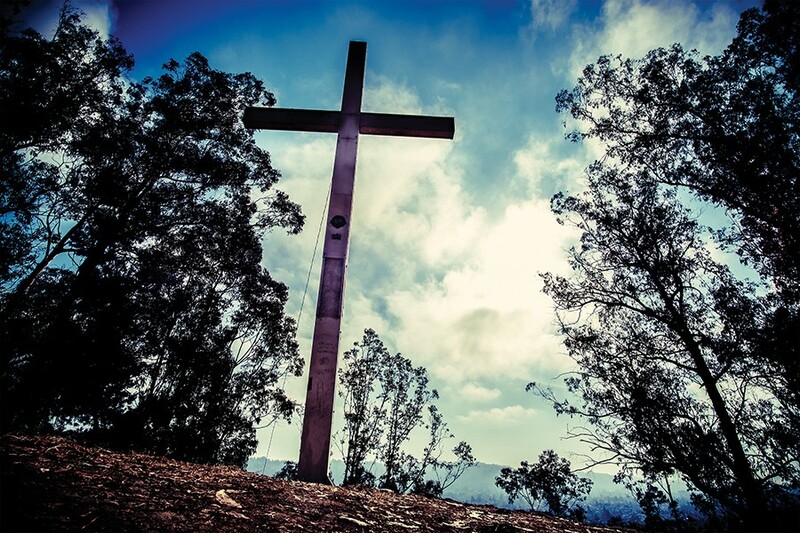 "To innocent newcomers, the cross might just be a lovely tribute to their faith," said Nason. "But to people who knew the background, especially those who had experienced the Klan period, the cross would carry a very different message." Regardless of the cross tradition's intended or unintended symbolism, Albany has remained one of the whitest enclaves in the East Bay flatlands. According to census figures, the city was more than 99 percent white in 1940, and as of 2010, still had an African-American population of only about 4 percent. In recent months, Albany High School has been embroiled in a controversy over students' online racism. A Nextdoor post by Nason about the history of the Albany cross sparked a sprawling debate in the comments section, in which several respondents connected disappointment regarding the Albany High controversy to the city's legacy of racial exclusion. "My ex's family were warned not to drive through Albany, and Black families still warn each other because of awful treatment in the 1970s and 80s," wrote Christina Hohorst. "Some are comforted by the cross. Others are not." Correction: The original version of this story misstated the size of Albany's African-American population in 2010. It isn't just the South. Berkeley and Oakland have them. And so does the region’s environmental movement. Perpetrators of California’s war to exterminate indigenous peoples are honored with innumerable place names. The survivors’ heritage is still being obliterated. UC Berkeley student activists have sought to rename Barrows Hall, which is named after a former campus president who helped colonize the Philippines. Instead of building shrines to military might or troubling historical figures, how about planting trees?